The app (as of right now only available on PC and iOS devices) brings the second screen experience to a single screen. 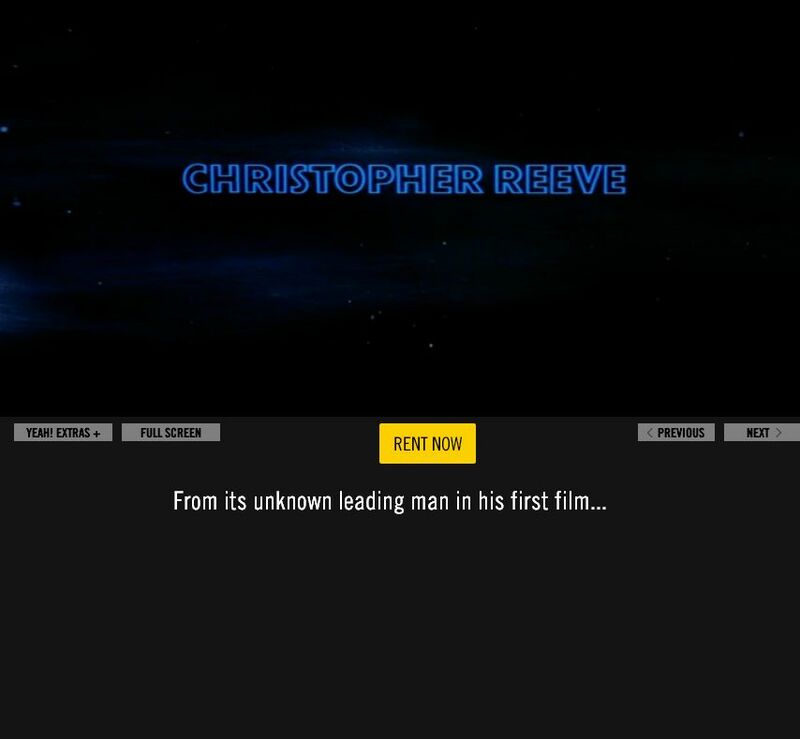 You get all types of trivia, games, factoids and commentary at the touch of your finger throughout the movie.It is seamlessly integrated and even skips around to select scenes to match up trivia/quizzes/factoids if you want. All of that is cool. And the representative told me, they spend several weeks on an individual movie to make sure it has the best information presented. The app worked well. It was speedy, it was responsive and you can ignore all of that if you wanted. But I walked away wondering who the market was for this service. Like it’s cool, but how many people WANT to watch their movie in letterbox with part of the screen being taken up with tangential information? How often would you want this information on display? After mulling on it for a few days, and writing this post, I have dubbed it the “2nd Service.” A 2nd screen experience is something I would never recommend someone do on their first time watching the film. So it would be used only beginning with your 2nd viewing. It is also a 2nd screen experience bought onto a single screen. And the only way I would recommend this to someone is as a 2nd service to Netflix, Hulu + or Amazon Prime. The reason for that is why they have some pretty different movies, it will not add as many as often as any of the other services just by the nature of needing to curate them. Also as it stands right now, the service doesn’t actually offer a subscription model. Instead, you rent the movies for a limited amount of time. I was told that subs may be coming in the new year, but until then it’s a hard sell against the other competition.